I'm desperately trying to unplug. The last thing I want is a watch that connects to my phone which connects to my iPad that connects to my computer that airplays to my TV. I'm glad that social media like Instagram didn't exist when I was a teenager. I would have been interested in what everybody else was doing, but it would have been too much information. 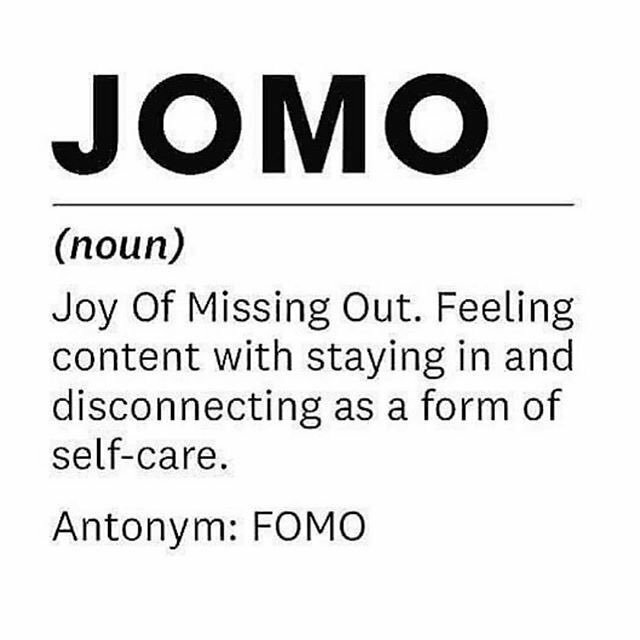 Staying so connected can lead to FOMO (Fear of Missing Out). Patrick McGinnis, coiner of the term FOMO, says a problem with it is that you are “taking your cues from someone else” instead of prioritizing doing what you want. Kristen Fuller from Psychology Today says: You do not need to compare your life to others but instead, practice tuning out the background noise of the “shoulds” and “wants” and learn to let go of worrying whether you are doing something wrong. A quote from Anne Lamott: Your problem is how you are going to spend this one odd and precious life you have been issued. Whether you're going to spend it trying to look good and creating the illusion that you have power over people and circumstances, or whether you are going to taste it, enjoy it and find out the truth about who you are. While you are taking care of yourself and enjoying disconnecting, maybe you'd like to try making yourself some Cinnamon White Hot Chocolate or Homemade Chai? It's cold where I am! If you're somewhere warm, maybe it would be fun to try Lavender Lemonade. Whatever you're doing, I hope you get your batteries recharged in the way you want. 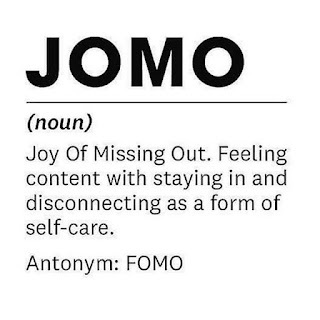 I am having a JOMO moment right now, curled up under a warm blanket reading blog posts. Thanks!